WEST CHESTER, Ohio (WLS) -- Family and friends are paying their respects to the skydiver who was fatally injured during last weekend's Chicago Air and Water Show. Visitation will be held Friday night for Master Sgt. Corey Hood. 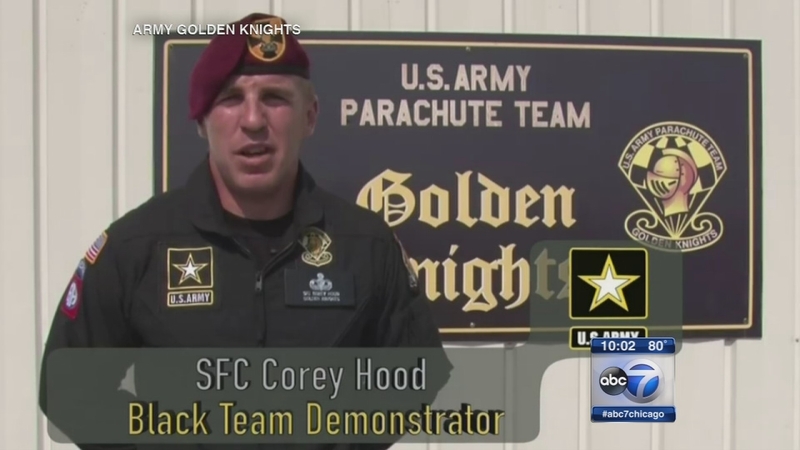 Hood was a member of the Golden Knights skydiving team. He and another man collided in mid-air. Hood struck a building, then fell to the ground after the collision. The visitation will take place in his hometown of West Chester, Ohio.